as they race toward the heavens. 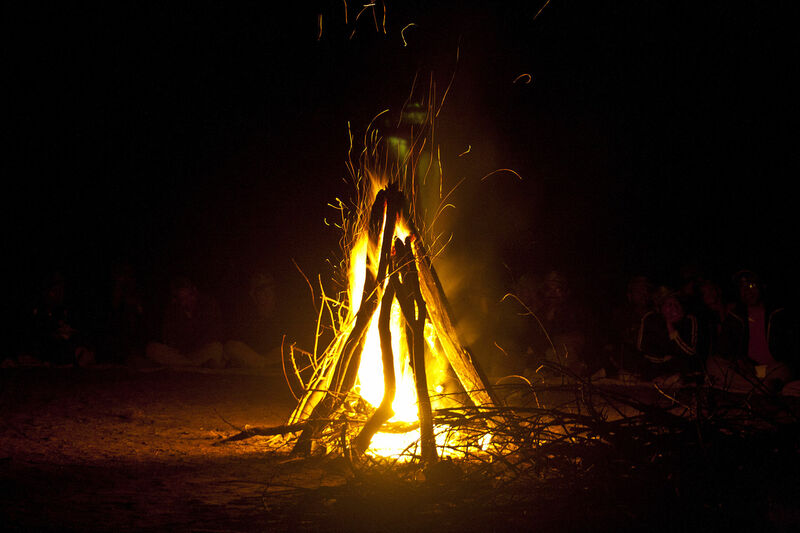 “Reply to the Question: ‘How Can You Become a Poet?’” I immediately recognized Merriam’s free verse examination of a leaf as a potential model for my campfire images. The original, which you can read on many websites and blogs, is focused on a single object, whereas I’m trying to capture an experience. 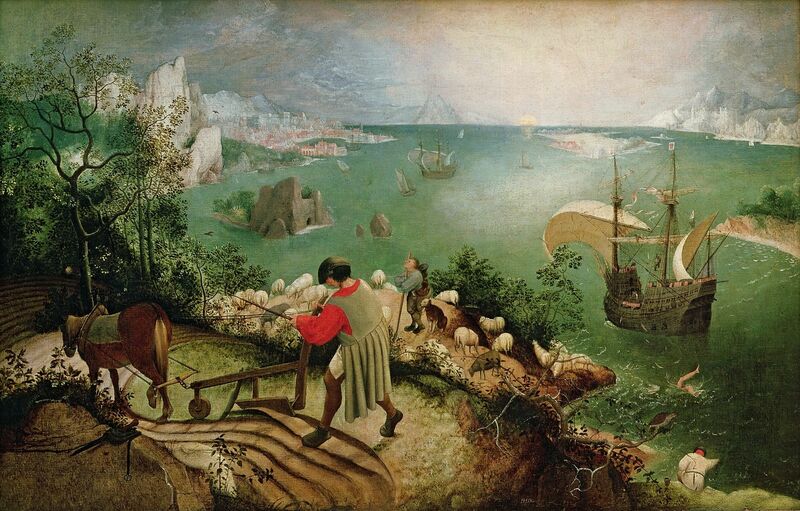 Here is a link to Heidi Mordhorst’s post about how Merriam’s poem nicely illustrates the connection between poetry and science. 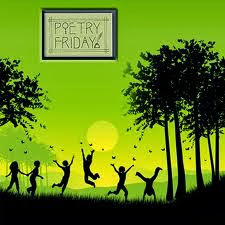 Please be sure to visit Michelle at Today’s Little Ditty for the Poetry Friday Round Up. In August I was lucky to attend a Reading Institute at Teachers College Reading and Writing Project. This week-long institute is reinvigorating and energizing, and my brain is always bursting with ideas when I leave. The staff developers at TCRWP do a terrific job of incorporating songs, videos, and other digital texts into their lessons to both engage students and broaden their horizons. I don’t watch much TV or listen to popular music on a regular basis, so I’m often out of the loop on what kids are watching and listening to. But after leaving New York, I was inspired to change the station on my way to work and listen to a country music radio station. Keith Urban’s new song, “John Cougar, John Deere, John 3:16” (written by Shane McAnally, Ross Copperman, and Josh Osborne) was playing. I was drawn in by the melody right away, and the lyrics really intrigued me. Then my teacher brain kicked in and all sorts of possibilities for sharing this song with older students started swirling in my brain. The song evokes a bygone era and offers endless opportunities for building knowledge about the culture of mid-twentieth century America. I was also reminded of George Ella Lyon’s poem, “Where I’m From.” Popular in writing workshops as a mentor poem, many teachers begin the school year with this poem as a way to learn about their students and build community. Pairing Urban’s rendition of “John Cougar, John Deere, John 3:16” with Lyon’s poem is a sure way to inspire young poets to pen their own poetic memoir. Be sure to visit Robyn Hood Black at Life on the Deckle Edge for the Poetry Friday Round Up. Like a thread through a needle. “Dropping slow” seemed to me exactly the way to describe the process of trying to stitch your heart and life back together without all the pieces. He’ll be putting his heart back together for years to come; maybe for the rest of his life. I’ll be there to help him with each stitch. This slice was difficult to write. It feels much too personal for a blog that is supposed to be about teaching reading and writing. 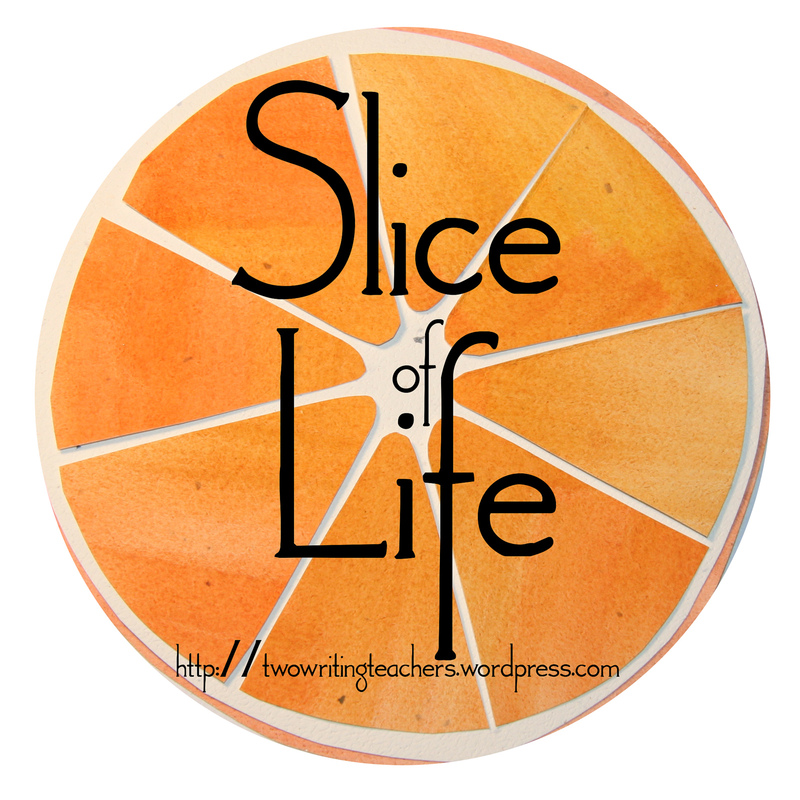 And yet, a slice is “a simple way to practice what we ask of students—to write…a small sliver of your ordinary life.” I am grateful to be part of this community and to have a place to share this writing, which seems so far removed from my original mission, but which was so necessary for me to write. Please visit Linda at Teacher Dance for the Poetry Friday Roundup.